Do you think you could have rosacea or do you even know what it is?! Find out if your rosy cheeks could mean more! 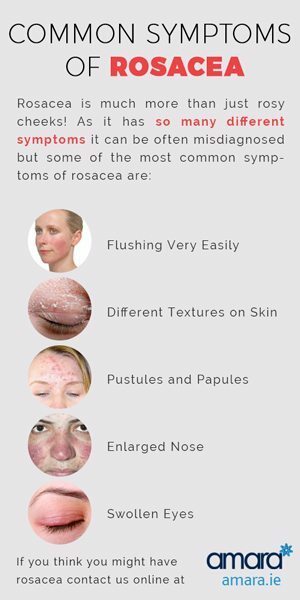 Even though you may have heard of it there is still a misconception about what rosacea is! 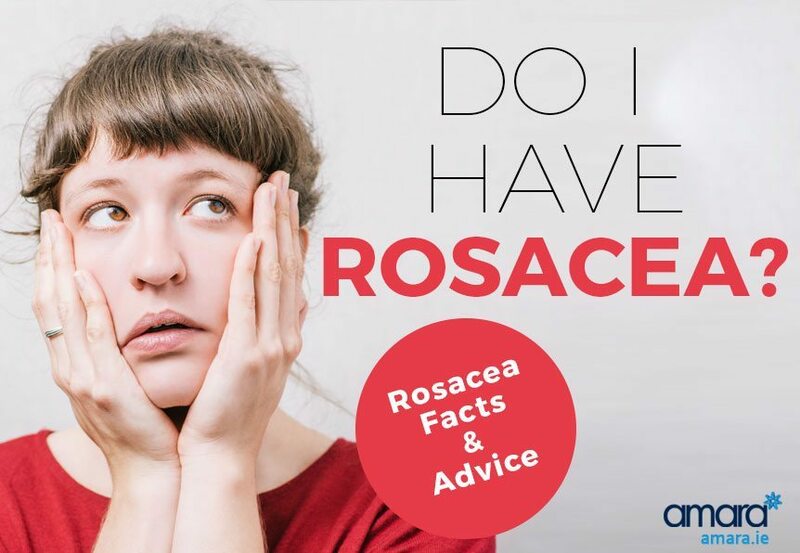 Many people think that rosy cheeks are the epitome of rosacea however just because you don’t have rosy cheeks doesn’t mean you’re safe from rosacea! Rosacea is actually a sub-type of acne which affects the texture and/or appearance of the skin. With acne our Sebaceous glands can be hyperactive or enlarged (producing oil and sebum) whereas with rosacea our glands get steadily bigger as we get older. Flushing Very Easily – Rosacea does typically cause redness in the face and flushing to occur easily. For some this can be constant and can spread past the face to the ears and to the back and chest. Different Textures on the Skin – Dry or flaky patches can be a sign of rosacea. Pustules and Papules – These are both inflamed forms of acne and are similar looking to cystic acne. Enlarged Nose – Men in particular are more likely to suffer with Rosacea on their nose. Typically it causes redness and irritation however if the rosacea is left untreated it can lead to Rhinophyma (an enlarged nose). Swollen Eyes – Many people with rosacea can be prone to what they think are eye infections. Blepharitis is a condition with your eyelids becoming inflamed due to malfunctioning oil glands. Your eyelids appear red and swollen, similar to a sty. This can also cause dry skin on the eyelids. First of all we must make sure that what you have is in fact rosacea. By seeing a skin health specialist they will be able to diagnose you to make sure that your symptoms are not a sign of something else. They will then be able to recommend what course you should take. Luckily rosacea is something that can be maintained very easily but treatment is essential to prevent anything permanent. A proper skin routine is essential for maintenance and treatment of rosacea, using ZO Skin Health we can maintain optimum skin health as well as addressing issues such as rosacea, pigmentation, acne and skin ageing. Treatments such as the HydraFacial MD are also perfect for rosacea as they are very unlikely to cause irritation unlike most other skin treatments. Common triggers can also cause your rosacea to flare up and worsen such as: sun exposure, wind exposure, exercise, drinking alcohol, spicy foods, stress and having hot baths. Although these may be different for everybody these are the most common triggers to flare up rosacea. Try learn what causes it for you personally so you can learn to avoid or prevent it from triggering. Do you think you have rosacea? Book in with our skin health specialist today to find out or treat this manageable condition. I have rosacea on my cheeks and forehead….it becomes red and sometimes I have burning sensation when I wash my face. Are you living in Dublin? Give us a call on 01 676 1074 if you are and we’d be happy to help.